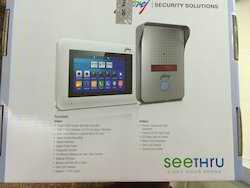 Pioneers in the industry, we offer hikvision vdp ds-kis201, godrej video door phone 4.3", hikvision indoor station ds-kh8300, godrej video door phone 7", hikvision ip video door phone ds-kv8102-ip and secureye s-sc7 video door phone from India. Godrej Video Door Phone 4.3"
Think of a possibility and you’ll get it in ST4.3. 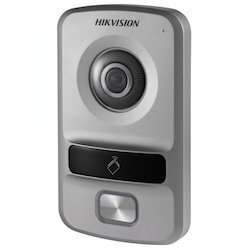 In addition to its high-resolution camera, it doubles up as an intercom system allowing you to communicate from different rooms. Now that’s convenience personified in real sense. We are one of the leading suppliers of Hikvision Indoor Station DS-KH8300.Video Intercom Indoor Station with 7-inch Touch Screen. 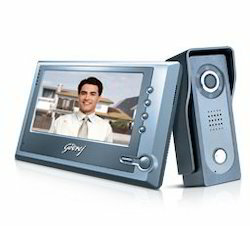 Godrej Video Door Phone 7"
Home is where comfort rules supreme. 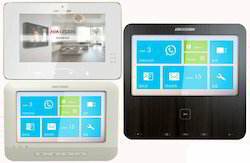 We understand your feelings and hence have designed a Video Door Phone that lets you view a visitor on your TV set. What’s more, ensuring you complete safety is an additional CCTV camera that can be installed at a different location such as back door, balcony etc. to secure a wider area! Storage with 10,000 cards information and 50,000 access control events. 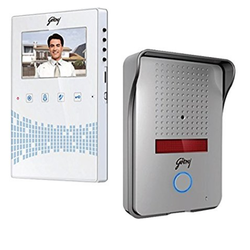 Godrej Video Door Phone Solus 7"
The monitor inside the user’s home gets automatically triggered on a pleasant chime and the visitor’s image is captured instantly. The system enables secret monitoring of the camera location, providing clear images even at night. 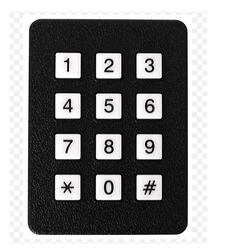 Its two-way audio communication feature allows conversation with the visitor without having to open the door. A strong outer casing protects the camera against tampering whereas the system’s overall appearance offers it an extremely elegant look.